Dia. 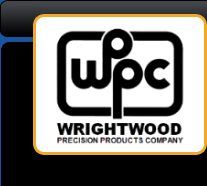 's from 1/8" to 7/8"
Wrightwood Precision Products Company has built its reputation as a world class supplier of precision machined components by providing its customers with quality, on-time products and personal, attentive service at economical prices. Total customer satisfaction is our goal.